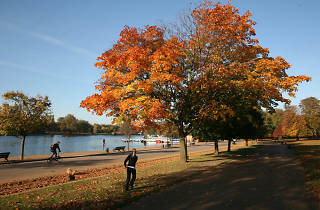 London is great during the summer, but it’s during the autumn months that the city is at its most beautiful. 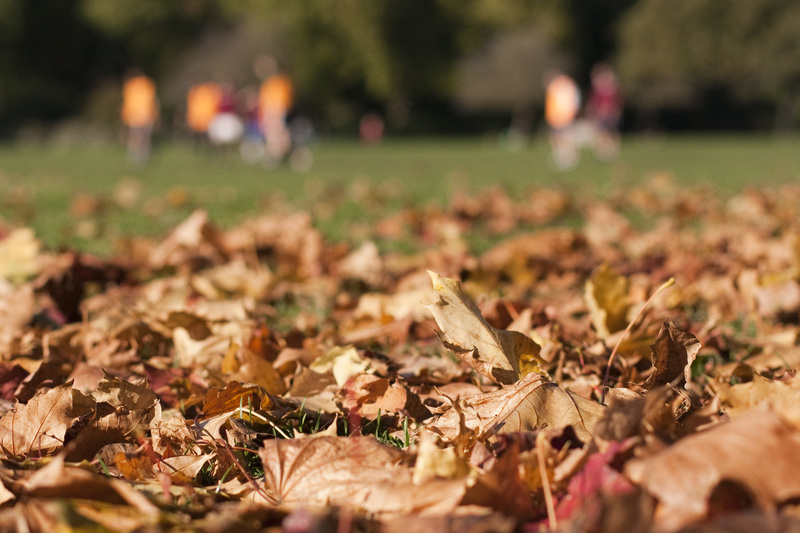 Sure, the days get shorter, the temperature drops and the temptation to stay in with Netflix becomes all that more appealing, but you’d be missing out if you stayed indoors. 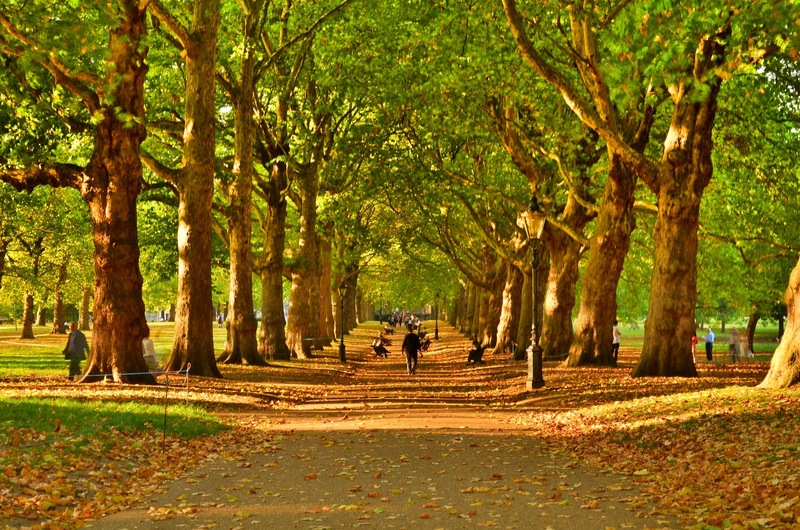 Get out and about in London’s parks as the greenery of the summer months starts to turn and the trees take on the warm red, orange and yellow hues of a sunset. 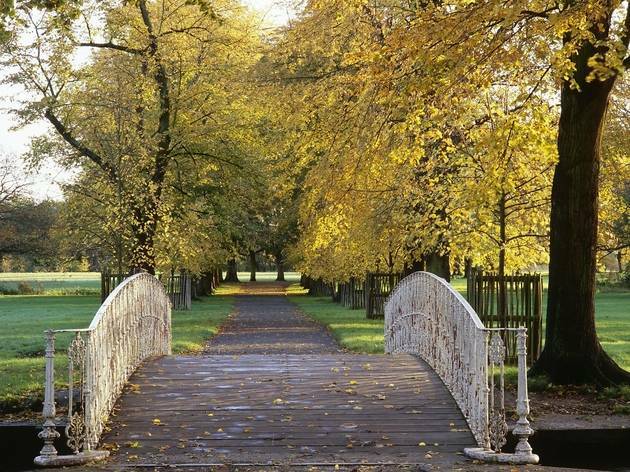 These beautiful London parks are perfect for an autumn walk. 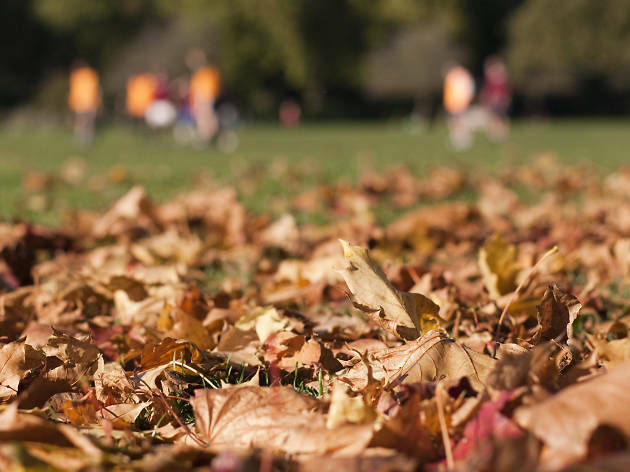 It’s not just the usual assortment of gorgeous British trees like oaks and willows that makes Battersea Park such a special autumn destination – its variety of gardens (from subtropical to winter) make it one of the city’s prime green spaces. The hybrid strawberry tree with its red bark is a standout, and by autumn’s end it’s covered in fruit and white flowers. 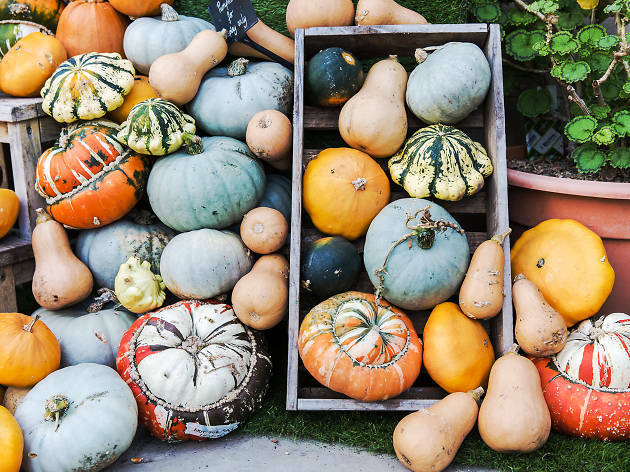 Crunch your way through flame-coloured leaves in the palace garden, check out the cute crop of pumpkins displayed in the Vinery, and buy fruit and veg harvested from the grounds to take home and feast on once you’ve packed your lungs full of fresh, autumnal air. 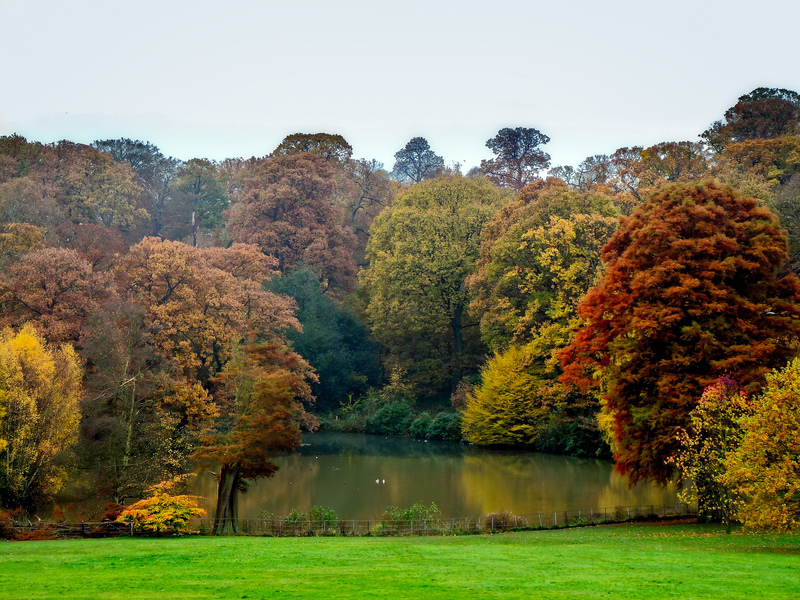 Some of the trees in this gorgeous hillside royal park – which was originally walled off by Henry VIII for use as a deer park – date back to 1600, and taking pride of place are the avenues of 400-yearold Spanish sweet chestnuts. In autumn they produce edible nuts which, unsurprisingly, are both sweet and Spanish. Like Julio Iglesias dipped in caramel. 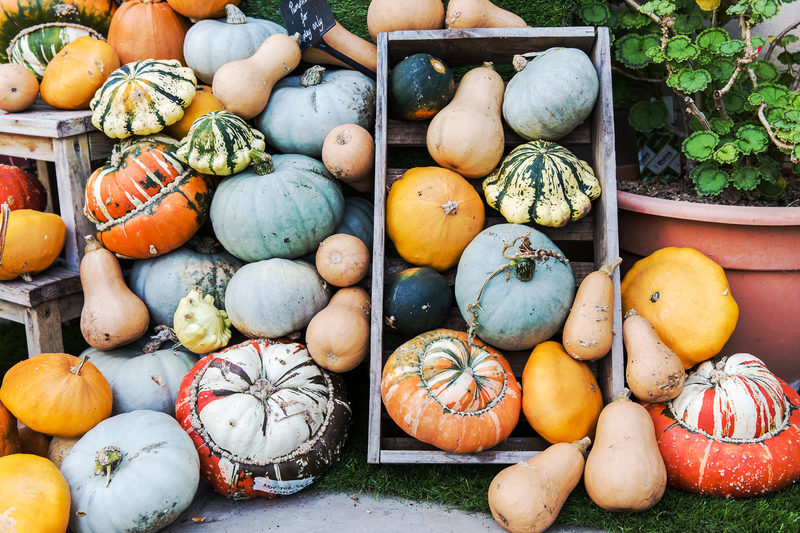 And if that’s not the taste of autumn, we don’t know what is. 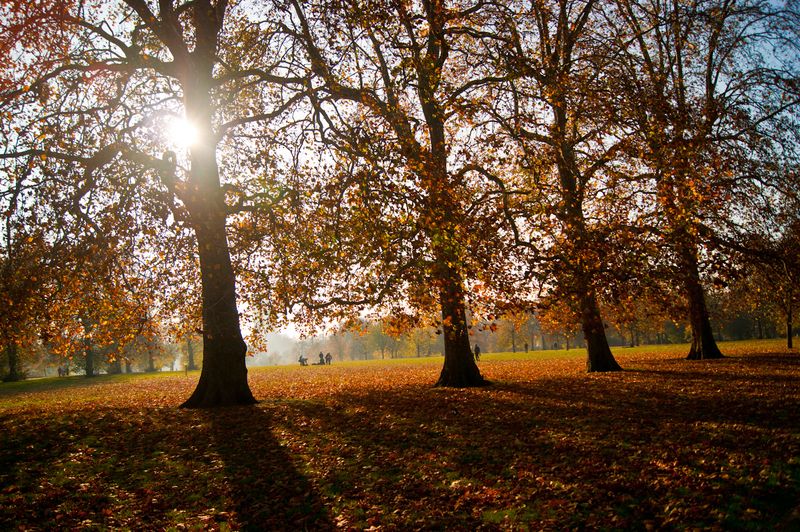 Hampstead Heath is a romantic setting all year round, but add autumn hues and it reaches new levels. 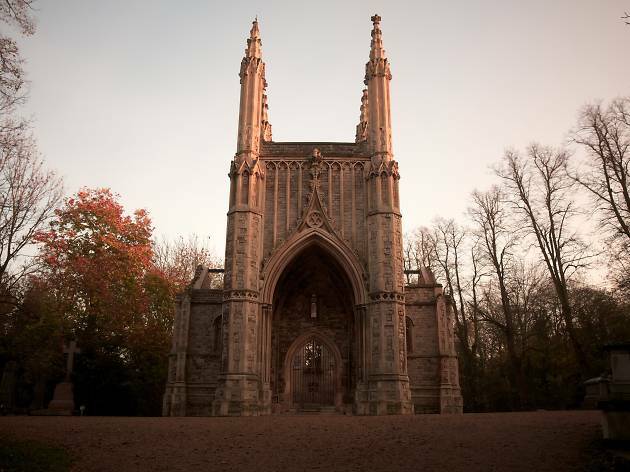 Spend the day strutting across its grassy sprawl, exploring its meadows and magical woodland areas. 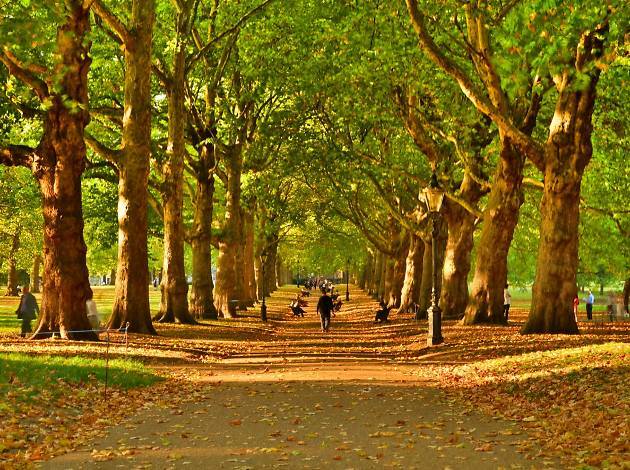 This 350 acre Royal Park is an oasis of arboreal beauty nestled between the tourist crush of Oxford Street and the Henries and Tabithas of Kensington. 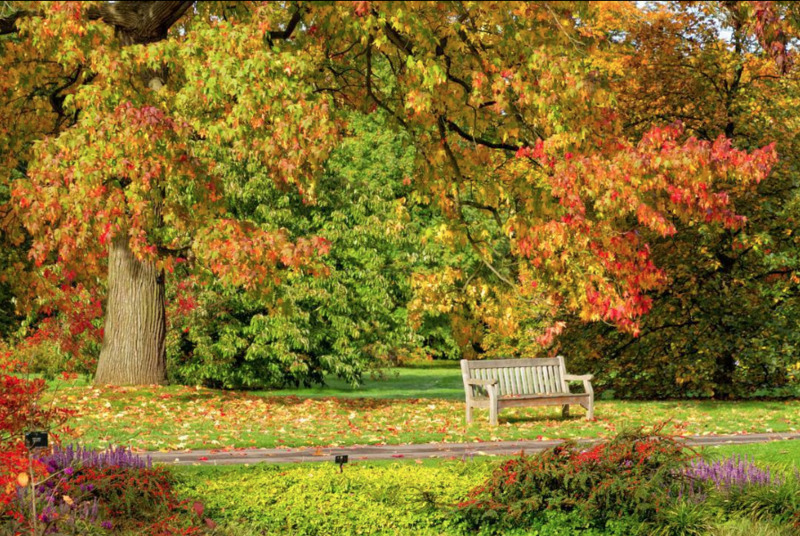 With over 4,000 trees, your eyes are in for an autumnal treat. 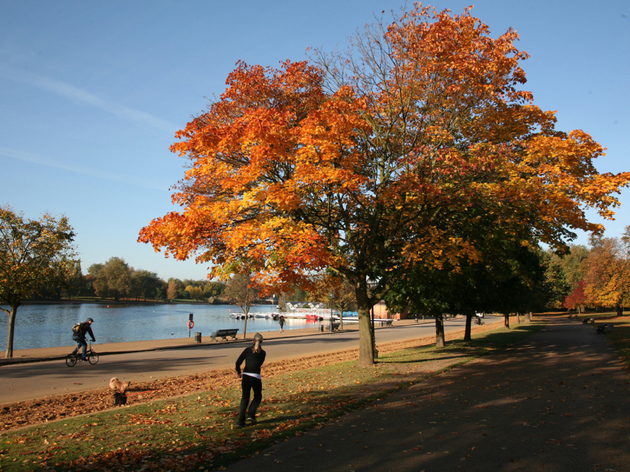 Look out for the buttery yellows and firey oranges of the beeches, limes and chestnut trees that line the avenues along the Serpentine. 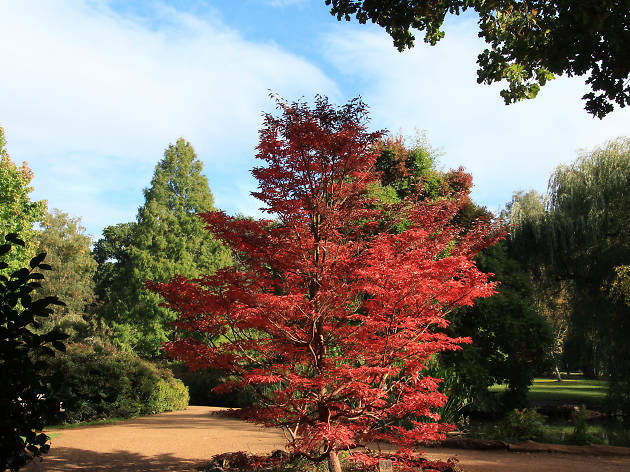 This beautiful 40-acre woodland garden set within a Victorian woodland plantation in Richmond Park will send you into a snappy-happy frenzy thanks to the rich bounty of red and orange hues it’s packed with. Evergreen azaleas line the ponds and streams, there are heaps of unusual trees and shrubs peppered across the garden, and beyond its gates you’ll find red and fallow deer roaming free in Richmond Park. 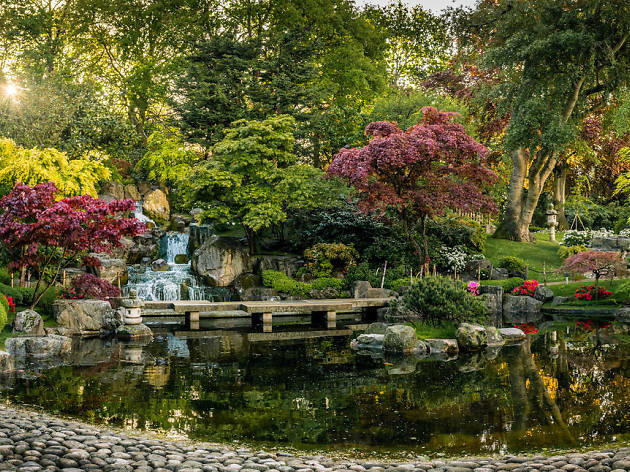 Head to Holland Park and you’ll find the Japanese-style Kyoto Gardens nestled within. Donated in 1991 by the Chamber of Commerce of Kyoto, the garden’s got a waterfall, bridge, and a handful of koi carp going for it. 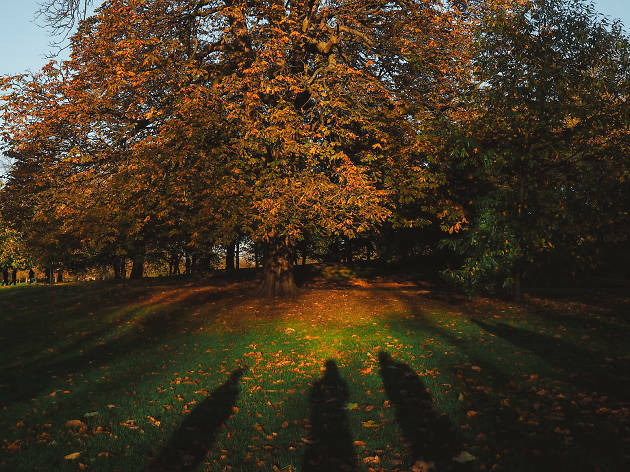 This time of year sees its edges dusted with orange leaves and plenty of people using it as a backdrop for their selfies. 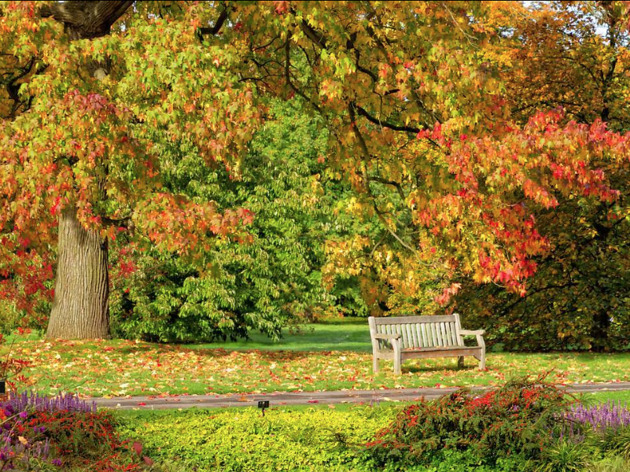 Kew Gardens looks flippin’ lush in autumn, and with wild meadows, gardens bursting with pretty flora and treetop walkways to explore, you could be there until the seasons change again. You can’t visit without making a stop at the Victorian Palm House or the newly-restored Temperate House to marvel at the tropical plants within. 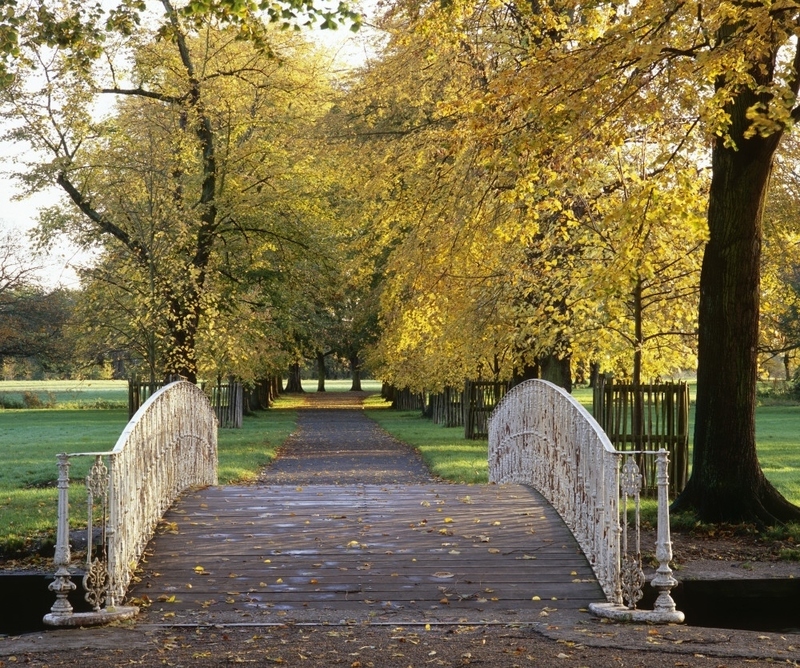 This former deer park is the perfect location for an autumnal day out. 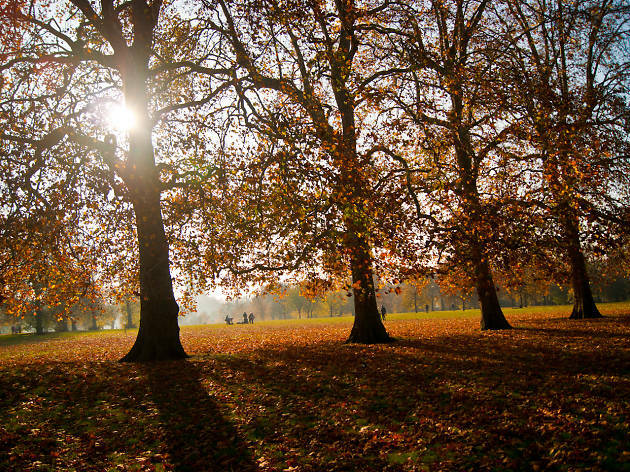 Lime and horse chestnut trees are planted along the park’s historic avenues, providing a healthy injection of colour, and magical mists hang over the river and wetland area on chilly mornings. 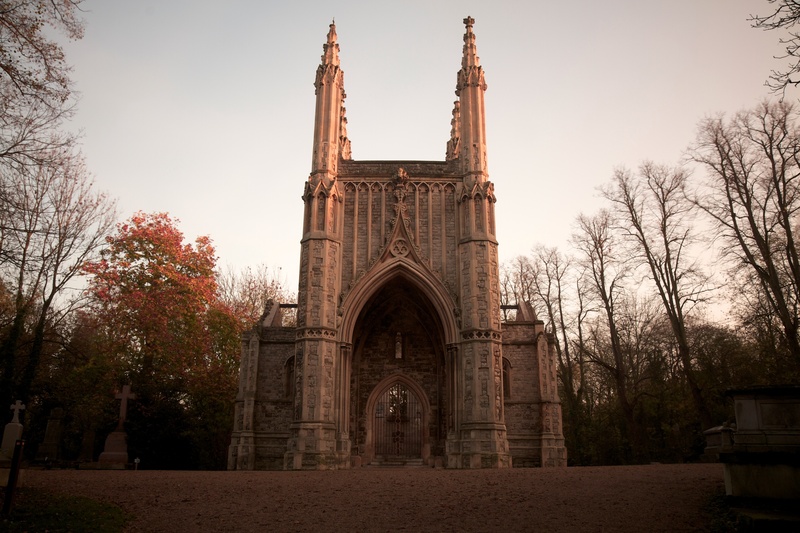 Wander between ivy-clad angels and crumbling tombstones slowly being taken over by greenery at Nunhead Cemetery, a south London burial ground steeped in history.